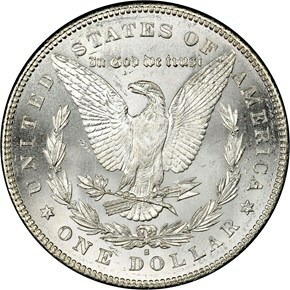 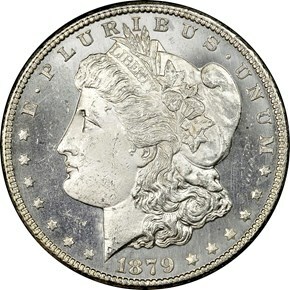 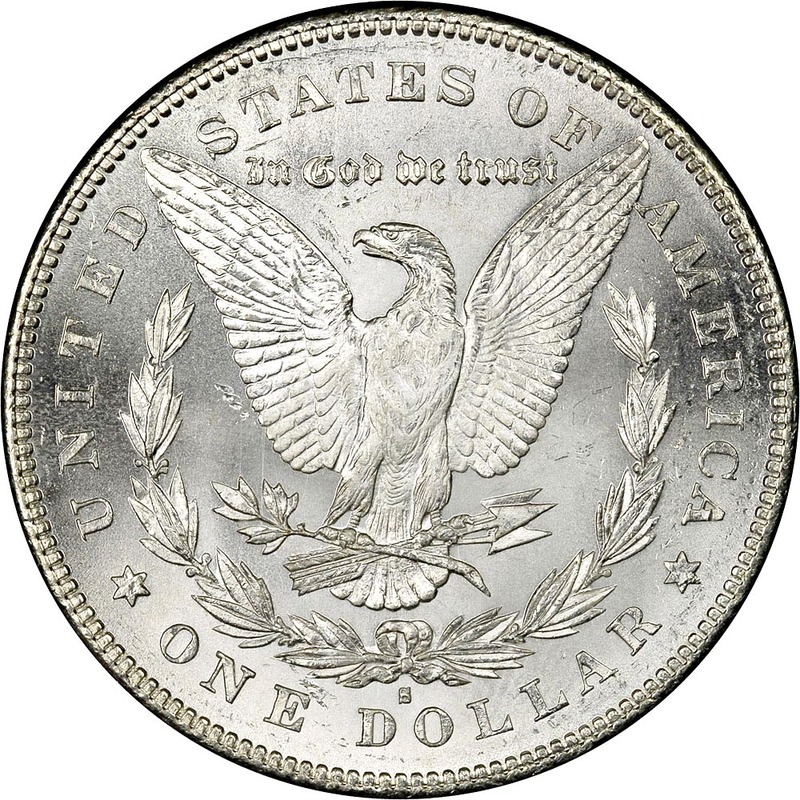 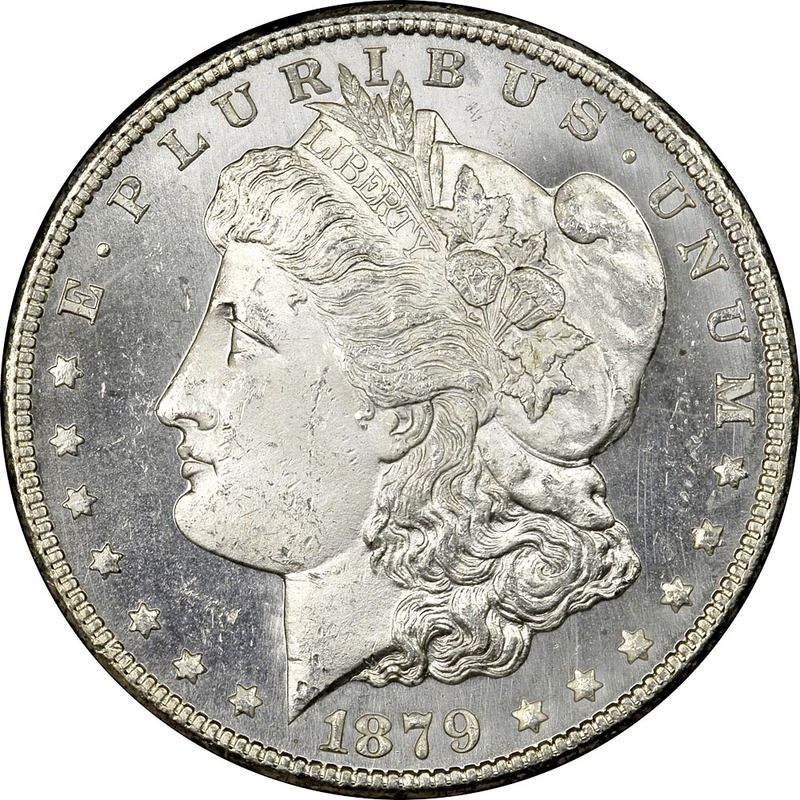 Of the 9.1 million Morgan dollars struck at the San Francisco Mint in 1879, a small number were struck using reverse dies from 1878. 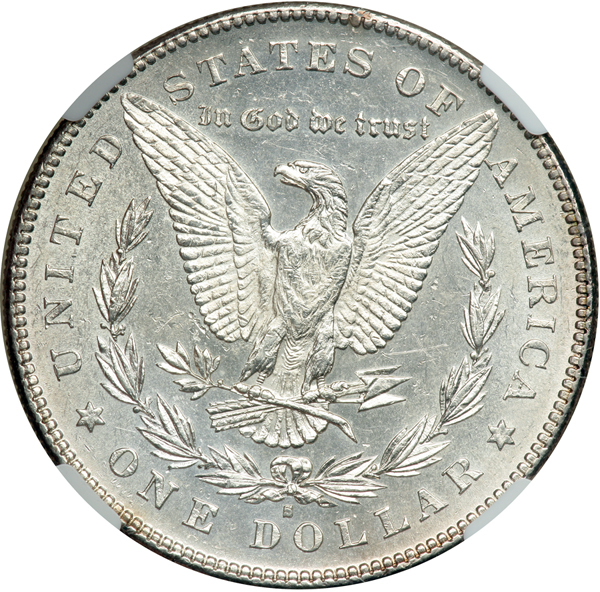 These feature a flatter breasted eagle and a parallel top arrow feather. 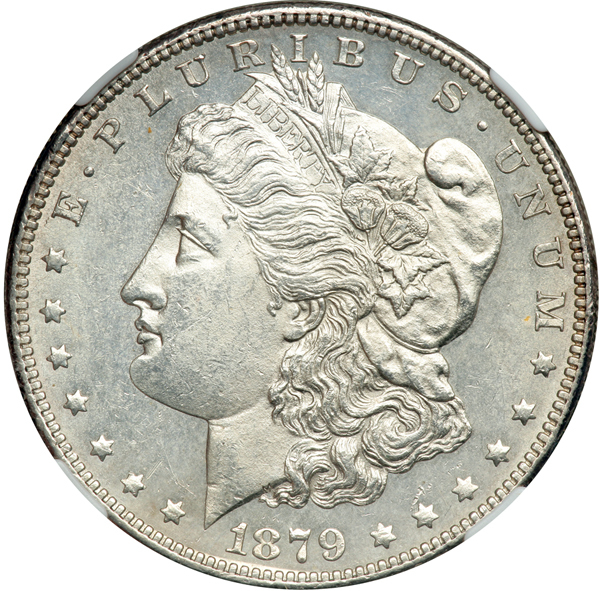 This variety is very popular today and is worth a large premium, especially in mint state.